In the world there are 7 types of turtles and 6 of them are in Indonesia. Sea turtles in Indonesia are green turtles (Chelonia mydas), hawksbill turtles (Eretmochelys imbricata), kelp (Lepidochelys olivacea), leatherback turtles (Dermochelys coriacea), flatback turtles (Natator depressus) and loggerhead turtles (Caretta caretta). Leatherback turtle is the largest turtle with a body length of 2.75 meters and weighs 600 - 900 kilograms. 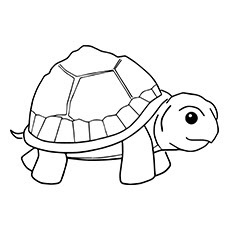 While the smallest turtle is lekang turtle, weighing about 50 kilograms. All types of sea turtles in Indonesia have been protected under Government Regulation (PP) Number 7 of 1999 concerning Preservation of Plant and Animal Types. This means that all forms of sea turtle trade, both alive and dead, are prohibited. According to Law No. 5 of 1990 concerning Conservation of Natural Resources and Ecosystems, traffickers (sellers and buyers) of protected animals such as turtles can be sentenced to 5 years imprisonment and a fine of Rp. 100 million. The use of protected species is only allowed for research purposes. science and rescue of the animal species concerned. 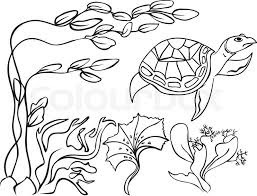 Based on the CITES provisions (Convention on International Trade in Endangered Species of Wild Flora and Fauna), all types of sea turtles have been included in Appendix I, which means that international trade in turtles for commercial purposes is also prohibited. The IUCN World Conservation Agency includes hawksbill turtles on the list of highly endangered species. Whereas green turtles, kelp turtles, and loggerhead turtles are classified as endangered. Threats to turtles are trading both in the form of meat, eggs or body parts. Sea turtles that are often traded for meat are green turtles. This turtle meat trade is still happening on the island of Bali. While the type of sea turtle that is often taken by carapace scales for souvenirs is hawksbill turtles. Sea pollution by oil and plastic waste is also a threat to the sustainability of turtles. 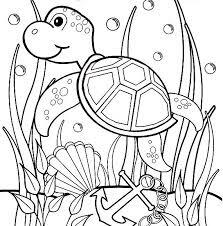 Sea turtles are a species that has lived on the earth for millions of years ago and is able to survive today. Sea turtles are migrant animals, often migrating thousands of kilometers between the eating and spawning areas. Sea turtles spend their time in the sea but the mother will go ashore when it's time to lay eggs. The mother turtles lay their eggs in a 2-4 year cycle, which will come to the beach 4-7 times to put hundreds of eggs in the sand that was excavated. After 45 - 60 days of incubation, the hatchlings (the name for the turtle child) appear from the nest and immediately run to the sea to start their new life. Some experts say that from 1,000 hatchlings there will only be 1 hatchling that can survive to adulthood. The success rate of live turtles to adulthood is very low, experts say that only about 1-2% of the total eggs produced. 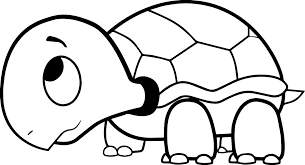 Terima kasih telah membaca artikel tentang Indonesian Turtles Coloring Sheet di blog Best Coloring Pages For Kids jika anda ingin menyebar luaskan artikel ini di mohon untuk mencantumkan link sebagai Sumbernya, dan bila artikel ini bermanfaat silakan bookmark halaman ini diwebbroswer anda, dengan cara menekan Ctrl + D pada tombol keyboard anda.